In harmony with Hope’s vision of “true hope for real life,” the nursery ministry at Hope seeks to give children and their families a glimpse of God’s gracious care and lavish love. 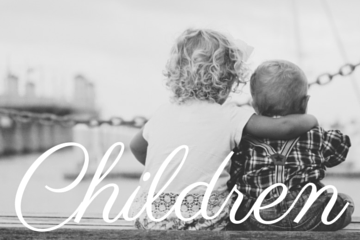 We want to point children and their families to Jesus and his work so that they might build a relationship with him. We also long for the nursery ministry to help children experience a safe, loving community where they grow in understanding and knowledge of Christ’s love while parents are freed to worship—assured that their children are in a secure, nurturing environment. To sign your child up for nursery care, please fill out our Child Care Card. Hope provides nursery care for children 6 weeks through 2 years. It is staffed by Hope members who have submitted to an application process and background screening. Infants will be cared for in a room full of stimulating, age-appropriate toys as well as cribs and swings for sleepy babies. Toddlers will enjoy their time in rooms full of books, blocks, toys, a slide and kitchen area. It is our desire that our littlest attenders at Hope have their first glimpses of God’s kindness, care, and grace through this ministry. When weather permits the older children may go outside and enjoy Hope’s wonderful playground. 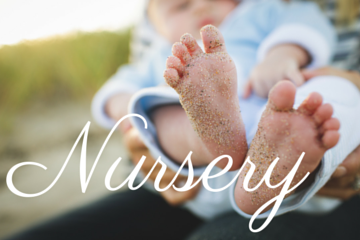 During the Sunday School hour (9:15-10:15), nursery for newborns up to the age of 2 years is available in Room 101.